Monday – Friday, 12-6pm: Enjoy our Fixed Price Menu and choose two or three courses from Starters, Classics or Puddings for £15.50 / £18.50. Every Tuesday: Tuesdays are for meeting friends and family at your local and enjoying a delicious Pie and Pint. 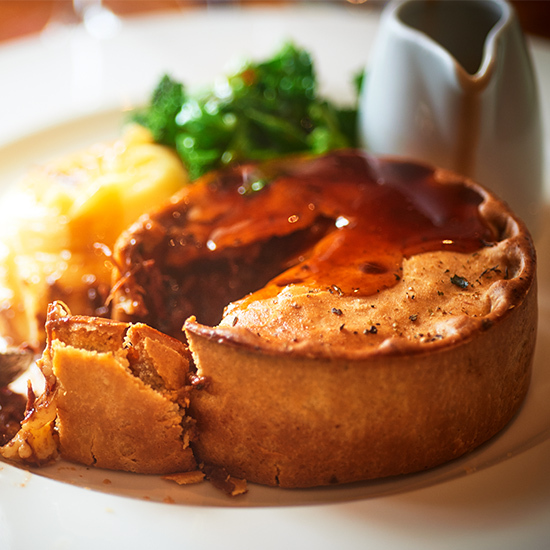 Choose any pie and pint of real ale or lager, a small glass of wine or soft drink, and enjoy for just £14.75. See the sample menu here. 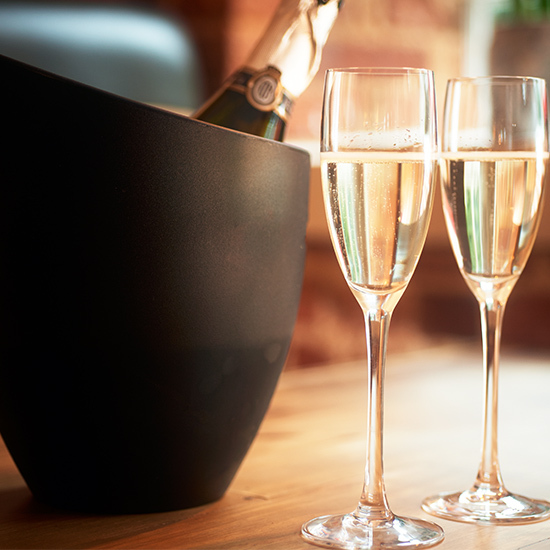 Every Thursday: Our delicious prosecco is half-price, all day. 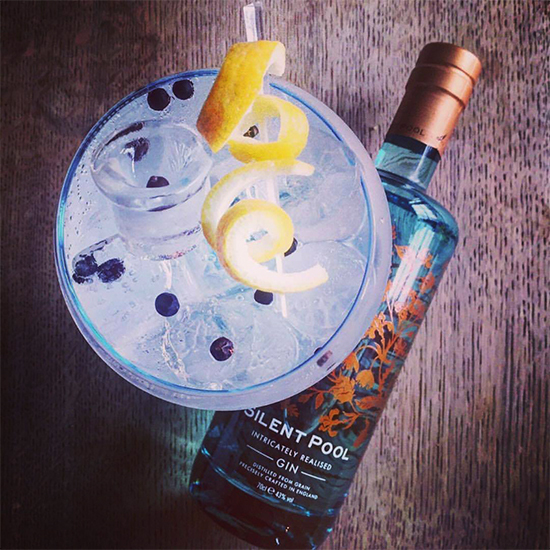 Every Friday: Enjoy two gins for the price of one, between 5-7pm. Every Sunday: Gather your team and join us from 6.30pm for our weekly quiz. £1 at the ready. This year Spring into Cranleigh will feature the exciting world record attempt of “Largest display of painted pebbles/stones” along with an Italian market, food stalls and promotions from local shops. 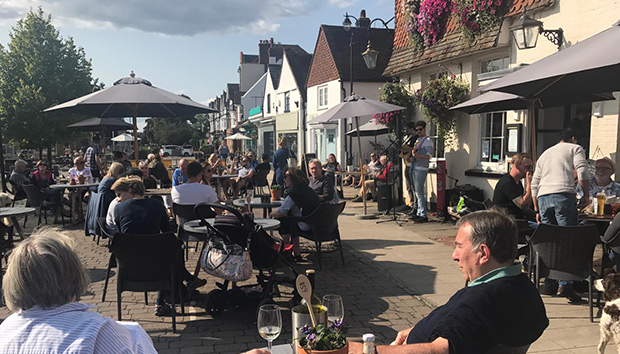 Join us as we celebrate this Cranleigh village family event, with live music at the front of the pub and our usual great food and drinks. There’s a long weekend on its way. 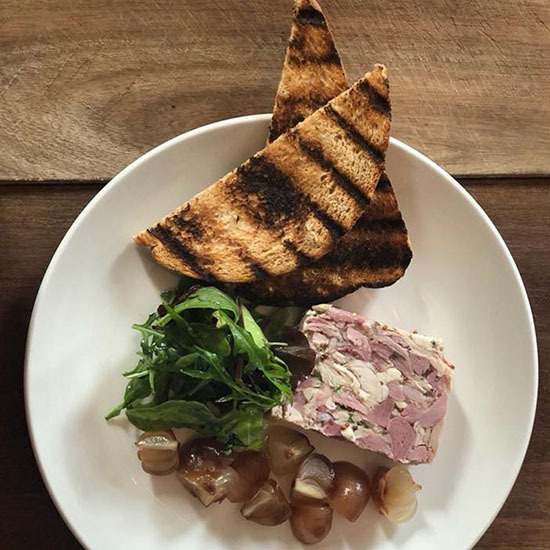 Whether you choose one of our freshly prepared seasonal dishes or a drink from our new list, gather your friends and family and pop down to see us. And if the weather lets us down, we can still drink as if it’s summer and pretend. We’ll have a gin and prosecco stand and music at the front of the pub. We’d love you to join us, book a table. Tom and Camilla are on the search for another new route around stunning Surrey countryside. Dogs and children are most welcome to join us. A perfect outing for all the family. 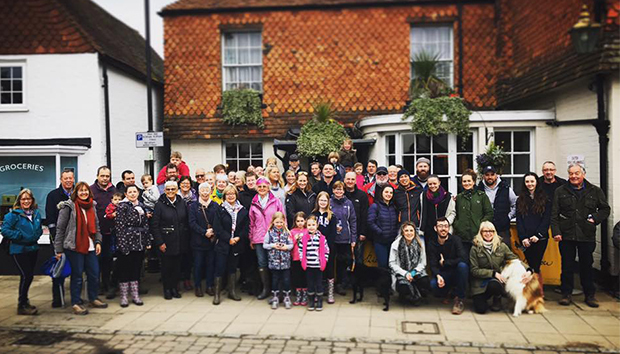 We will be meeting in the pub at 9.30am for tea, coffee and bacon butties on us, before heading off for the walk at 10am. After the walk we’ll meet back at the pub for a well-deserved beer or two and a spot of lunch. 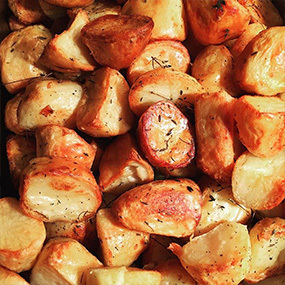 If you fancy joining us for a traditional Sunday roast then be sure to book your table with us from 12pm. If you’d like to join us please call us on 01483 274922 so we can get an idea of how many bacon sandwiches we need! Join us from 7pm for a feast of our favourite dishes from the fabulous African country of Morocco. Our chefs will be cooking up a traditional starter and main, followed by a delicious pud to inspire you of trips abroad. And of course there will be plenty of wine to help wash it all down! Tickets £30 per person, includes food and arrival drink. Speak to the team to book your table with us. Make the most of the long weekend and join us, and our favourite local brewery Firebird, for a Meet the Brewer Street Party. We’ll be firing up the BBQ from 1pm and setting up our Gin Station, featuring gins from our new drinks list. Oh and there’ll be Prosecco and a Cheese van too. There’ll be live music in the afternoon, from Changing Colour, so you can sit, relax and watch the world go by. Booking advised if you would like to join us for lunch or dinner. The perfect setting to witness The Wings and Wheels Weekend. 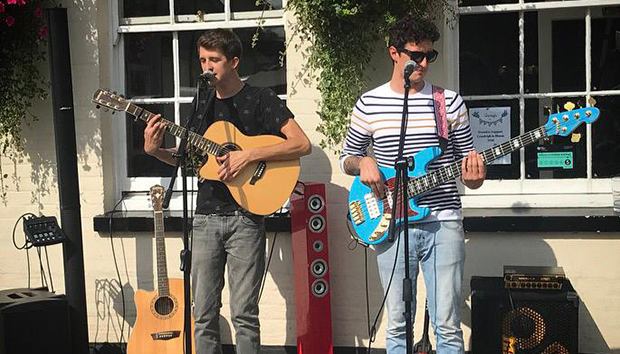 Join us out the front of the pub for Head Chef, Hugh’s, Summer BBQ and we’ll be joined by the fantastic Changing Colour for live music from 2pm. It’s that awesome time of year again when we get to celebrate all the amazing Dads out there. Treat him to one of our delicious breakfasts or one our hearty Roasts, and there’ll even be a pint for all Dads on us! If you can drag him out of bed early enough, you could always join us for a special Brunch instead. Whether you choose one of our freshly prepared seasonal dishes or a drink from our new list, gather your friends and family and pop down to see us. 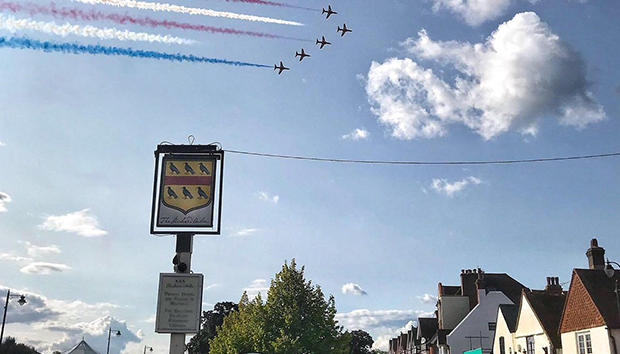 The road outside the pub will be closed, the perfect spot to watch the parade, drink in hand. We’d love you to join us, book a table.